1. Place all ingredients in a blender container. Process until smooth. 2. 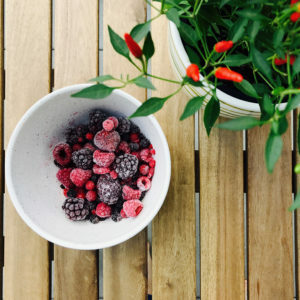 Pour into a bowl and top with additional frozen berries, hemp seeds, and cocoa nibs or unsweetened, toppings of choice.